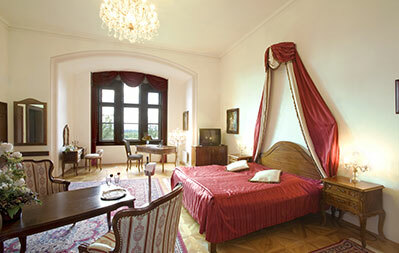 Experience a unique moment right in the heart of South Bohemia and enjoy a stay in the romantic chateau hotel Štekl situated directly in the chateau Hluboká. Every little nook of our hotel conceals a piece of history, and you will feel cosy in each one of our comfortable rooms. The building of the hotel Štekl is as old as the chateaux Hluboká, and once served as the home of senior chateaux officials, and part of the hotel served as the kennels and stables. 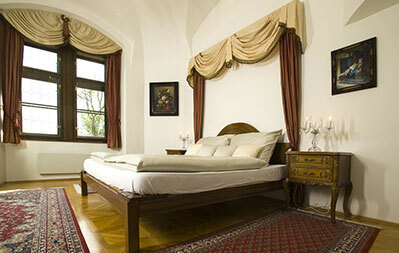 From our luxury rooms you can enjoy a unique view of the surrounding countryside and the chateau Hluboká itself.  Whether you want to experience a romantic weekend, a nice time with your family or an inspirational company event, our hotel provides every comfort and service. 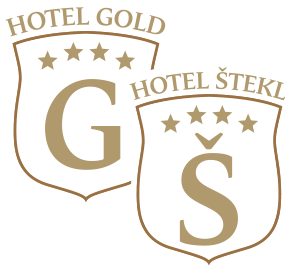 Hotel Štekl offers accommodation in 24 standard double rooms, 15 deluxe rooms, 3 suites, and 2 royal suites. 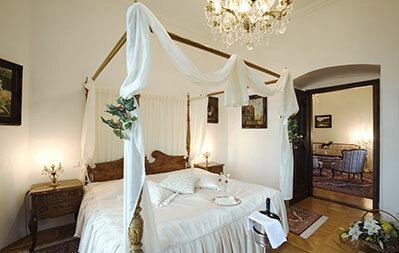 All rooms are furnished in the romantic chateau style. Reproductions of Dutch Masters complement the atmosphere of the rooms. Take your pick of the room and view. 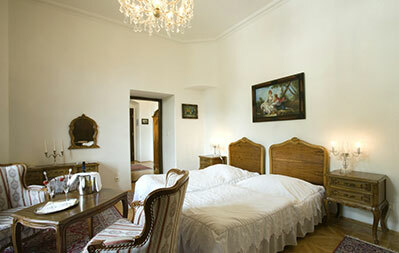 Thanks to their size and decor, each one of the 44 rooms is different and has its own individual character. All rooms have en suite bathroom and toilet, television, free high speed wi-fi connection(30 Mbit/30Mbit), minibar and safe.